More thoughts on the changes brought to us in 401, sorry I can’t be bothered with all the dots any more, lazy? I prefer to call it efficient. Now with the new area of effect heals we are expecting our raid teams to stand in the coloured zone on the floor. There are a number of such spells and they all look pretty similar, just different colours. 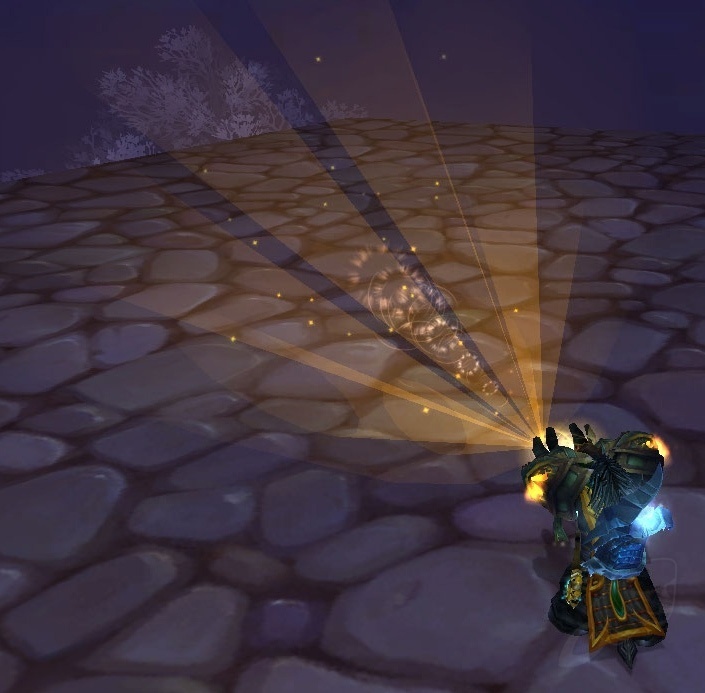 The spells are: Effloresence (shown above left), Holy Word: Sanctuary, Light of Dawn (shown above right), Healing Rain and Power Word: Barrier.While these are a welcome addition to the arsenal us healers have, there is the issue of the education of the raid members to either move to it and once in it to to stay in it, assuming that we have not been foolish and misplaced it (less of an issue for the Effloresence as it is based around the location of a person rather than a targetted area). Currently, raider are subconsciously avoiding standing in the good fire, as Matticus describes in his article Holy Word: Sanctuary vs Efflorescence, and I think that all raiders need to be more aware of their surroundings and that lead has to come from raid leaders and healers alike. We may also need to modify strategies to cater for these new spells, ie grouping up melee and ranged people more rather than spreading out. 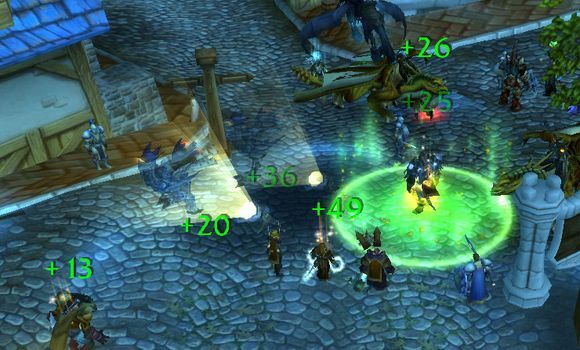 Of course there will be times when these new AoE heals are devalued because of fight mechanics eg Deathbringer Saurfang but for every example of a bad scenario there is a example where these new spells are pure win. There is however, a dark side to this, namely the merging of the good spot and bad spot. Imagine if you will that we are mid fight on Professor Putricide, our lovely druid has just dropped Effloresence on the mage at the same time that the Professor decided to launch a Slime Puddle on the very same mage. We now have to green spots on the floor underneath the mage who missed the Deadly Boss Mods of him being the target of the puddle and being told by the RL about not moving out of the new AoE ground based heals is now stood in both. Will the game display the effects in a specific order? If so, is that the last one to land? buff prioritised? Debuff prioritised? If the mage dies is it the mages fault? The healers fault? Random “bad luck”? Only time will tell how well and fast we adapt to this new friendly fire. I for one welcome these as they do spice things up I just hope the encounters in Cataclysm don’t make it too easy to confuse the enemy and friendly fire.